It’s always amazing to discover new and beautiful places in New England. One of my favorite reasons I live in this area and there is never a lack of great spots! 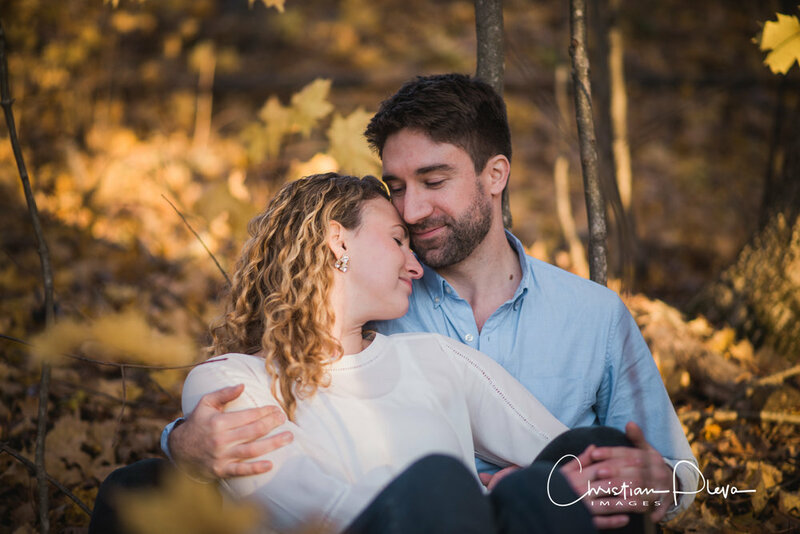 I find it even more incredible when a couple shares a spot for us to make some fun and beautiful engagement images. 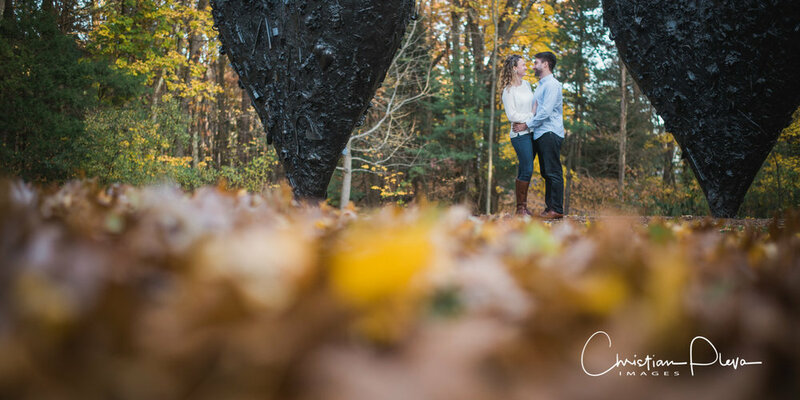 Bernadette and Mike let me in on this not so secret place in Lincoln, MA., The Decordova Museum and Park. 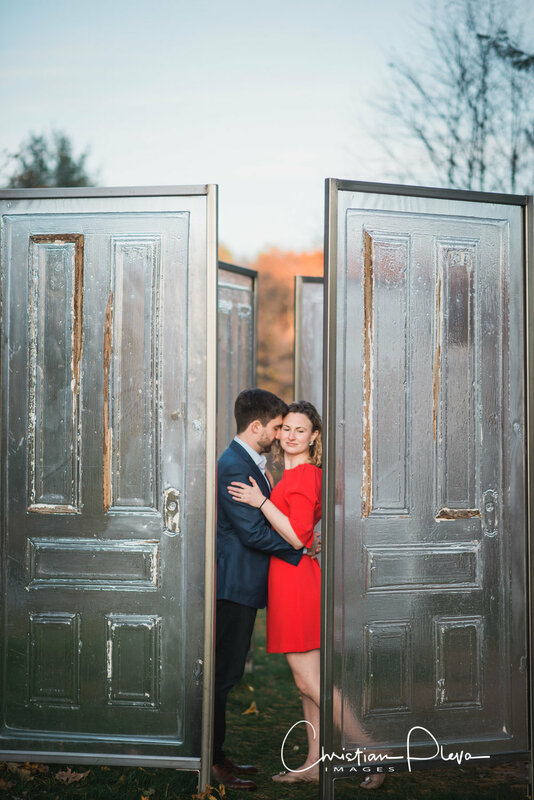 What a fascinating place to make pictures with a couple! 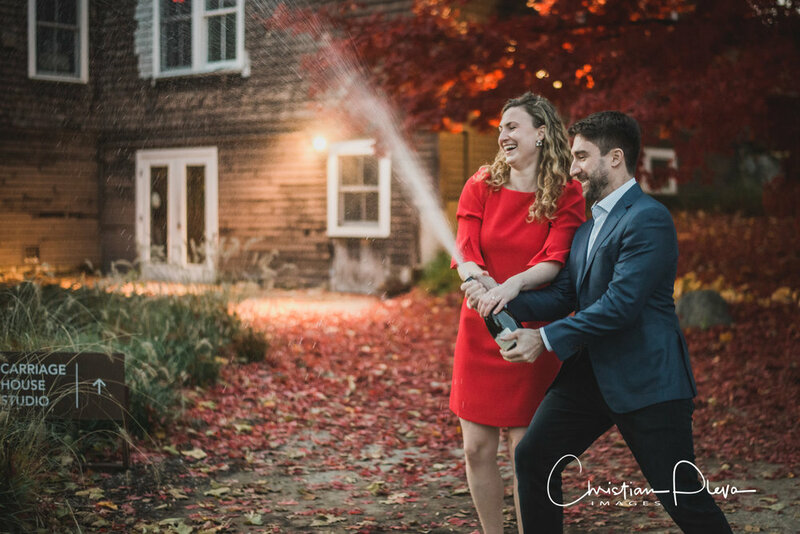 I loved our session and had such a blast with Bernadette and Mike up to and including them popping some champagne! Mike really outdid himself - he planned an amazing surprise trip to the arctic circle in Northern Finland, and proposed under the Northern Lights in a glass igloo hotel! We cannot wait to dance the night away with our family and friends and have everyone we love in one place! 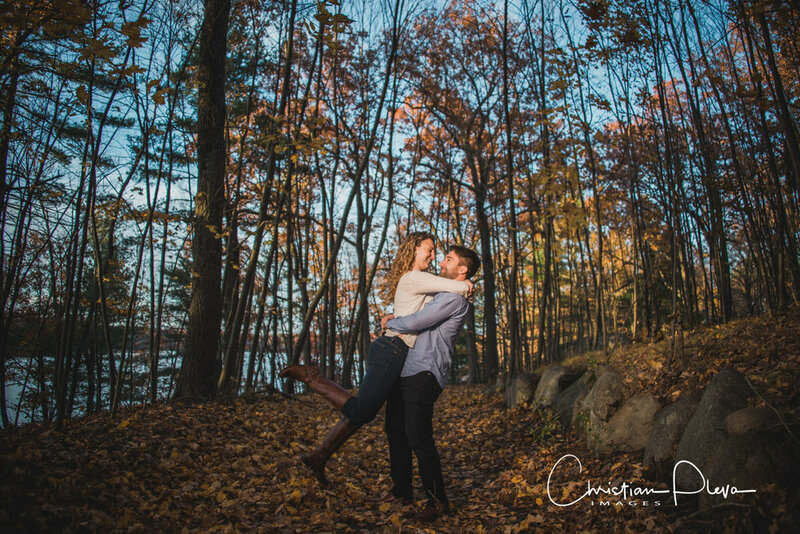 Something a bit more casual, fun, and incorporating how beautiful New England is in the fall! 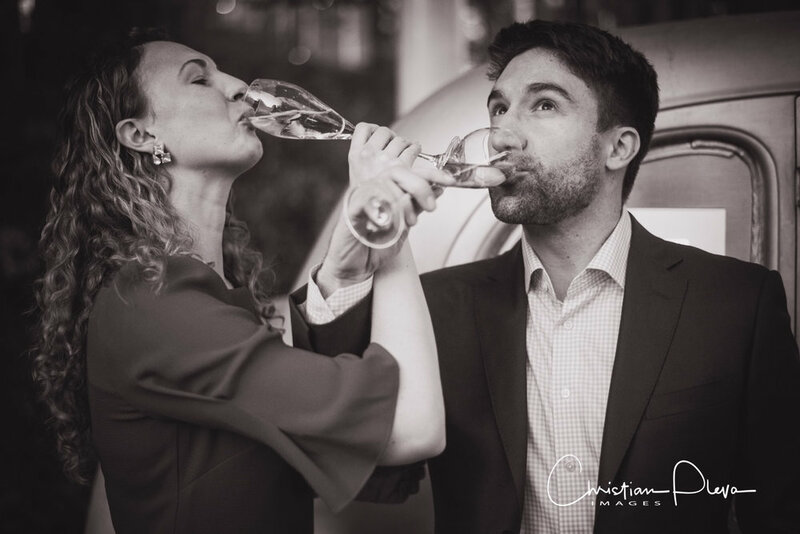 Have a drink to loosen up (great tip from Christian!) and plan your outfits in advance to make sure you have the shoes, jacket, etc.! Really fun - we are not usually that comfortable in front of a camera, but Christian made it really easy by giving us tips and pointers! We also enjoyed walking around to find different spots to take photos in and experimenting with poses.